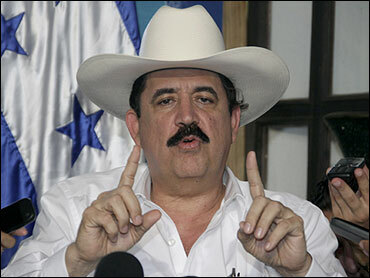 A new proposal to end Honduras' political crisis would restore ousted President Manuel Zelaya in two days. Costa Rican President Oscar Arias says the proposal is the last plan he will submit as mediator in the conflict. He says Zelaya and the coup leaders should turn to the Organization of American States for a new mediator if they refuse to sign the plan. The 11-point plan also calls on Zelaya to drop efforts to reform the Honduran Constitution - an initiative that provoked his June 28 ouster in a military coup. Arias presented the plan Wednesday and said he hoped both sides would sign it Thursday. It includes a timetable that would return Zelaya to power Friday.